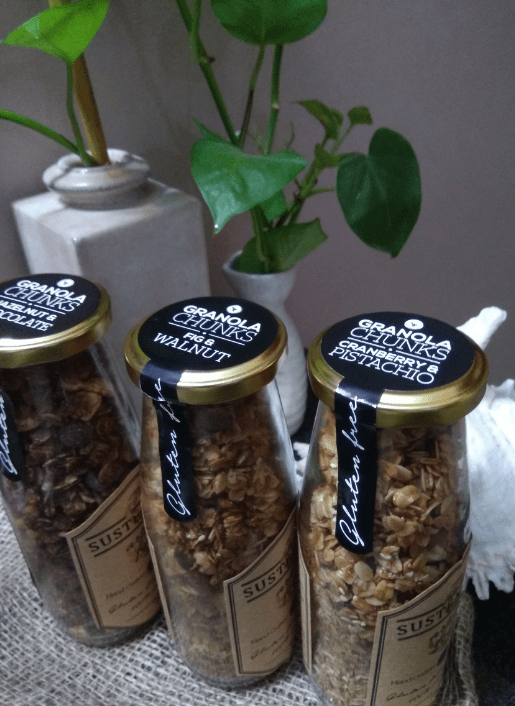 Being a big fan of health food, when I had an opportunity to write about the Sustenance Artisan Foods Handcrafted Granola I wanted to sample them right away. 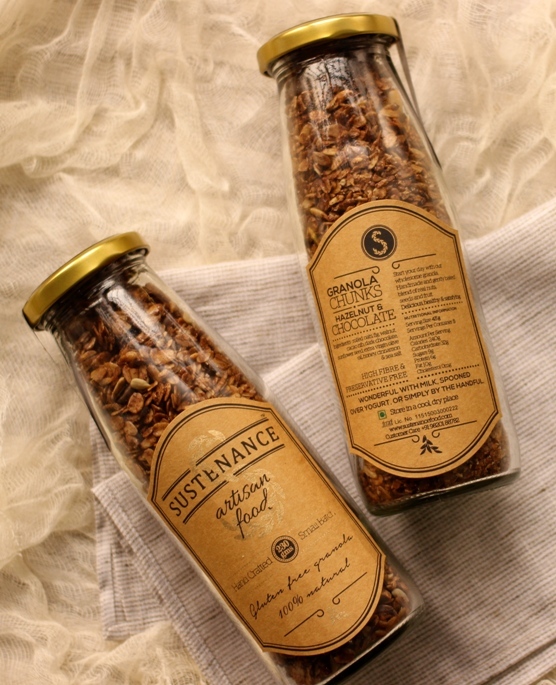 ‘Sustenance Foods’, a boutique gifting studio by Richa and Neha has a range of delicious artisan food that are handcrafted and made in small batches using the highest quality ingredients. 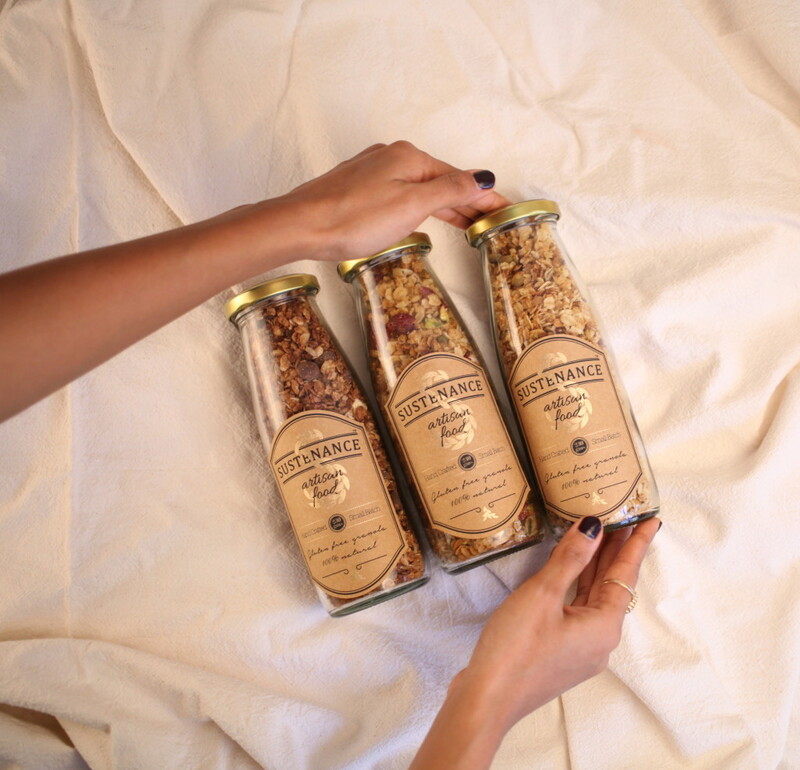 Their handcrafted granola is gluten free, packed with nuts & seeds, 100% natural and sweetened with locally sourced organic honey. Each batch is hand mixed and baked in small batches at low temperatures to give it a nice crunch and toasty flavour. Currently there are three flavours: Cranberry & pistachio, fig & walnut and a decadent chocolate & hazelnut granola. The granola can be paired with yogurt or milk, spooned over ice creams or sprinkled on salads or just eat it from the jar! This granola has a sweet flavour that is offset by the cocoa and hazelnut to create a fantastic balance of tastes. 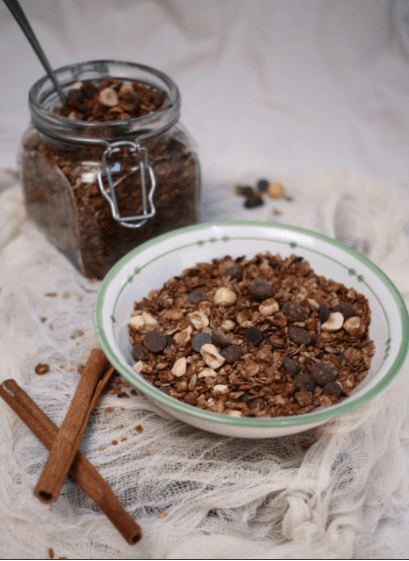 A mix of rolled oats, hazelnut, chocolate, cocoa powder, sunflower seed, brown sugar, honey, olive oil, cinnamon and sea salt this granola will be a hit with children as well. The well balanced taste and high quality ingredients make this one a clear winner. 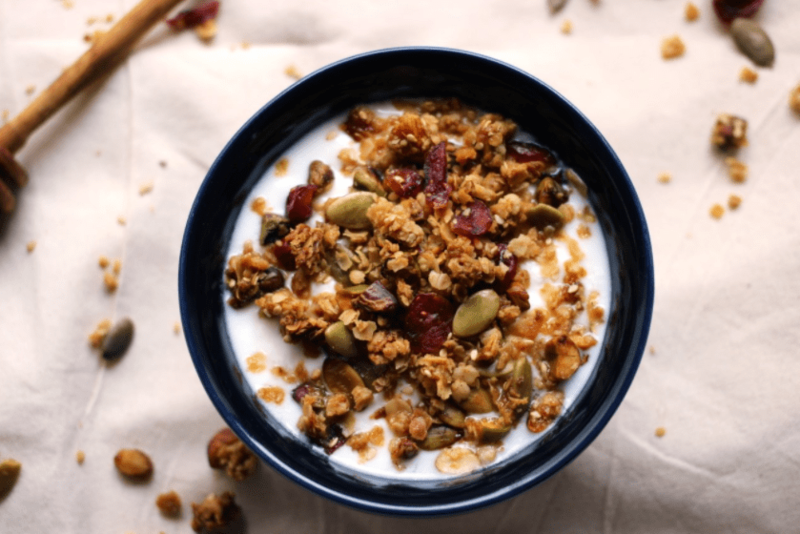 This granola has a mixed flavour courtesy the sweetness of the cranberry and saltiness of the pistachio. Made with rolled oats, cranberry, pistachio, pumpkin seeds, flax seeds, sesame seeds, brown sugar, honey, olive oil, cinnamon and sea salt this granola has a more sticky feel and has a certain volume thanks to the different seeds in the mix. This will, in fact, make a great breakfast option as well. This granola veers more towards the salty side and has a chunky texture thanks to the chopped walnuts and figs in it. 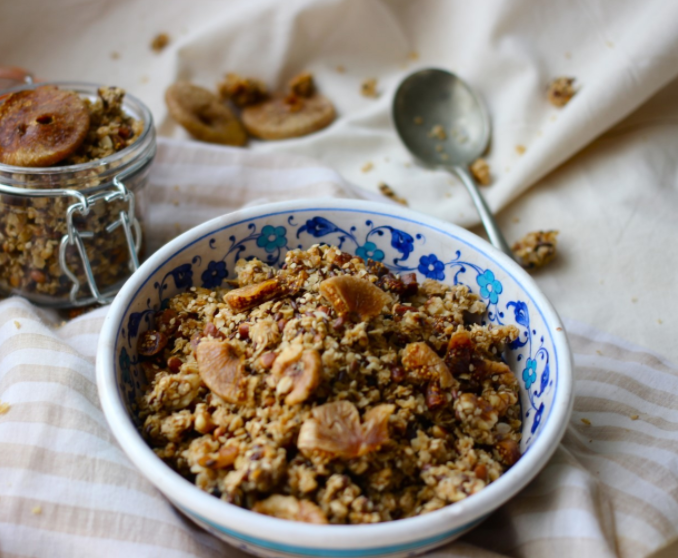 Made with rolled oats, figs, walnuts, pumpkin seeds, flax seeds, sesame seeds, brown sugar, honey, olive oil, cinnamon, nutmeg and sea salt this granola is a great option as a mid morning snack as well. The best part of these granolas of course is their taste and the fact that they come in small glass bottles (230 grams each) that balance out the calories, carbohydrates, sugars, protein and fat make them a winner. The best part is that these are all zero cholestrol and are an ideal option for weight watchers and health seekers alike. P.S. I only received the samples of the three granola boxes for this review but all opinions expressed here are mine.